Murano, Venice Lagoon, Italy. 09 May 2011. M.D. Guiry. © M.D. Guiry (mike.guiry@nuigalway.ie). Burano, Venice Lagoon; quay steps. 09 Jun 2008. Michael Guiry. © Michael Guiry (mike.guiry@nuigalway.ie). Detail of eggs after release. Mid littoral zone, Izola, Slovenia. 24 May 1998. Claudio Battelli (claudio_battelli@t-2.net). © Claudio Battelli (claudio_battelli@t-2.net). 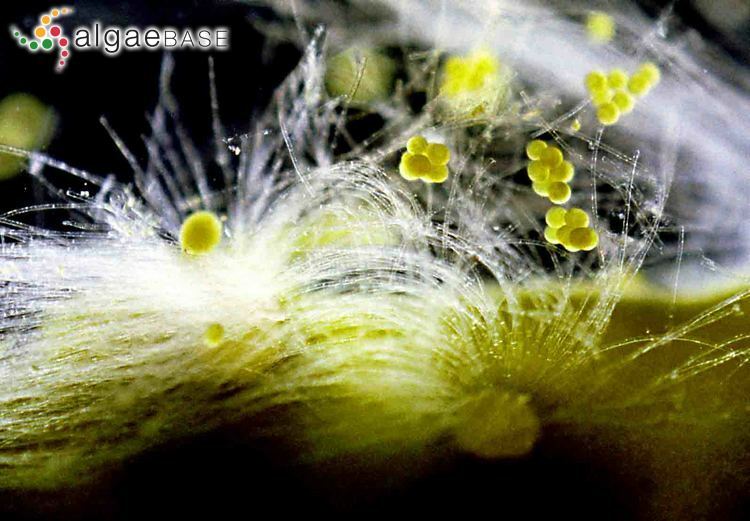 Detail of release of eggs from conceptacles. Mid littoral zone, Izola, Slovenia. 24 May 1998. Claudio Battelli (claudio_battelli@t-2.net). © Claudio Battelli (claudio_battelli@t-2.net). Detail of conceptacle with eggs. Mid littoral zone, Izola, Slovenia. 24 May 1998. Claudio Battelli (claudio_battelli@t-2.net). © Claudio Battelli (claudio_battelli@t-2.net). 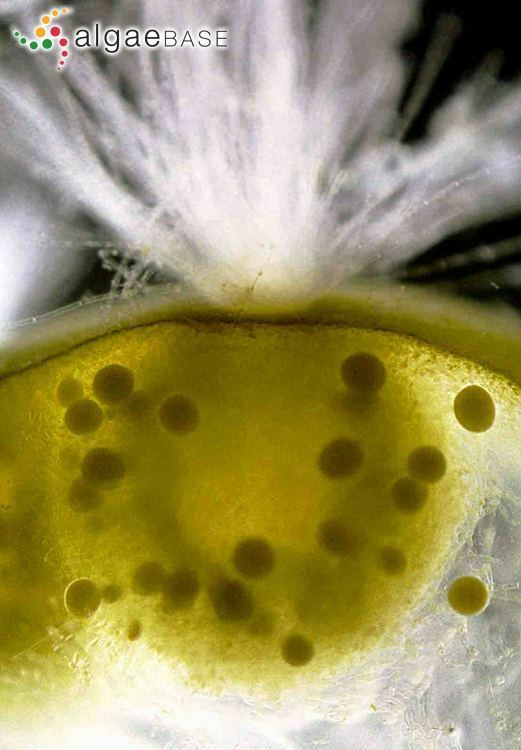 Detail of antheridia (male reproductive organs). Mid littoral zone, Izola, Slovenia.. 24 May 1998. Claudio Battelli (claudio_battelli@t-2.net). © Claudio Battelli (claudio_battelli@t-2.net). 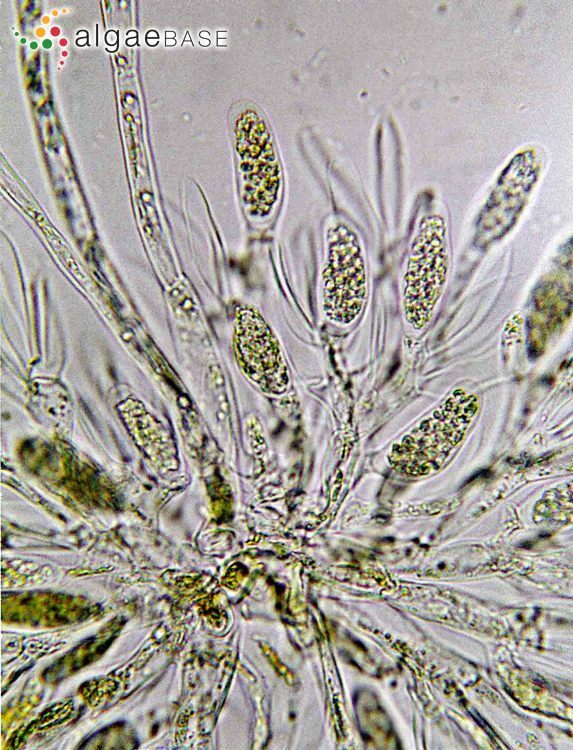 Detail of antheridia (male reproductive organs). Mid littoral zone, Izola, Slovenia. 24 May 1998. Claudio Battelli (claudio_battelli@t-2.net). © Claudio Battelli (claudio_battelli@t-2.net). Published in: Agardh, J.G. (1868). Bidrag till kännedomen om Spetsbergens alger. Tilläg till föregående afhandling. Kungliga Svenska Vetenskaps-Akademiens Handlingar, Nye Följd 7(8):  28-49, pl. III. 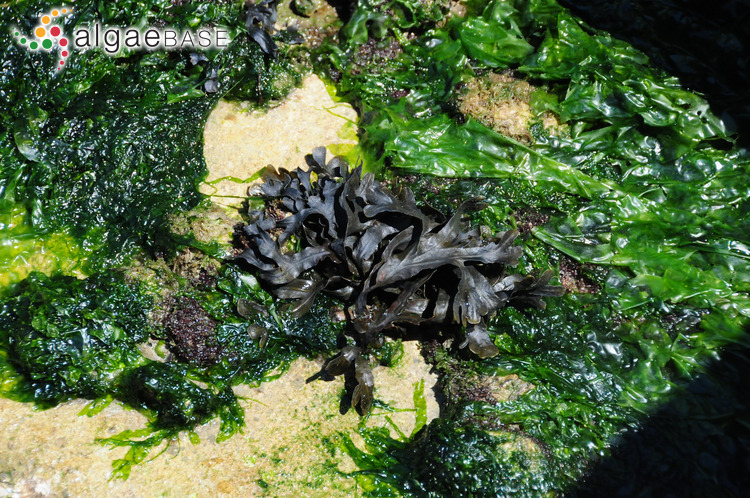 It is very likely that Fucus virsoides is the only species of this genus occuring in the Adriatic Sea; records of Fucus under other names are very probably misidentifications (Furnari et al., 1999). Cormaci et al. (2012: 296) say that this species occurs mainly in the northern Adriatic, from the Venice Lagoon to Dalmatia, but is very rare on the coasts of Albania. "In adriatico frequens" [Adriatic Sea] (Agardh 1868: 42). Europe: Adriatic Sea (Giaccone 1969, Giaccone 1978, Ercegovic 1980, Ribera et al. 1992, Curiel et al.1998), Italy (Furnari, Cormaci & Serio 1999, Orlando-Bonaca et al. 2013 ), Slovenia (Rindi & Battelli 2005, Orlando-Bonaca et al. 2013 , Battelli 2016), Veneto (Sfriso 2011). Sfriso, A. (2011). 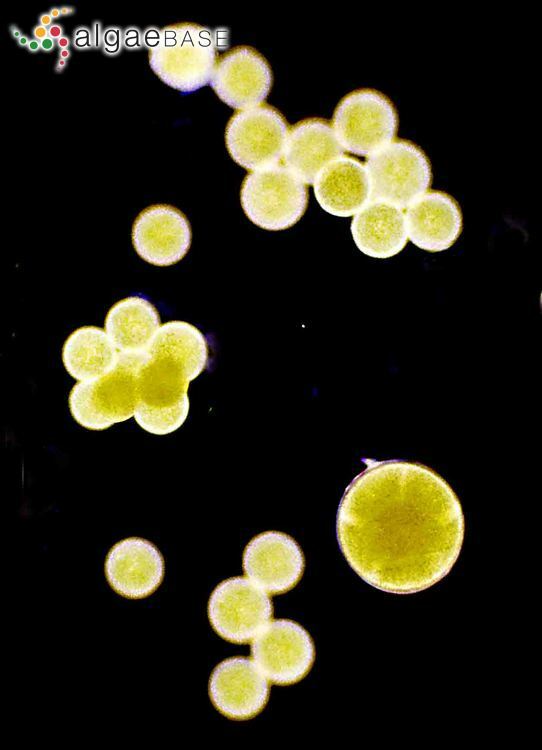 Ochrophyta (Phaeophyceae e Xanthophyceae). Ambiente di transizione italiani e litorali adiacenti. pp. -234, pls 1-51. Bologna: Arpa Emilia-Romagna. Accesses: This record has been accessed by users 6232 times since it was created. Battelli, C. (2016). Disappearance of Fucus virsoides J. Agardh from the Slovenian coast (Gulf of Trieste, northern Adriatic). Annales Series Historia Naturalis 26(1): 1-12. Cerma, E., Baradel, P. & Chimenti, M. (1968). Richerche sull'acido alginico del Fucus virsoides. Boll. Soc. Adriatica Sci. Trieste 56(2): 226-233. Forti, A. (1931). Description de plusieurs formes de Fucus virsoides de l’Adriatique. In: Travaux Cryptogamiques dédiés à Louis Mangin. (Anon. Eds), pp. 177-187. Paris: Laboratoire de Cryptogamie, Muséum National d'Histoire Naturelle. Lipizer M., Bressan G., Catalano G. & Ghirardelli L.A. (1995). 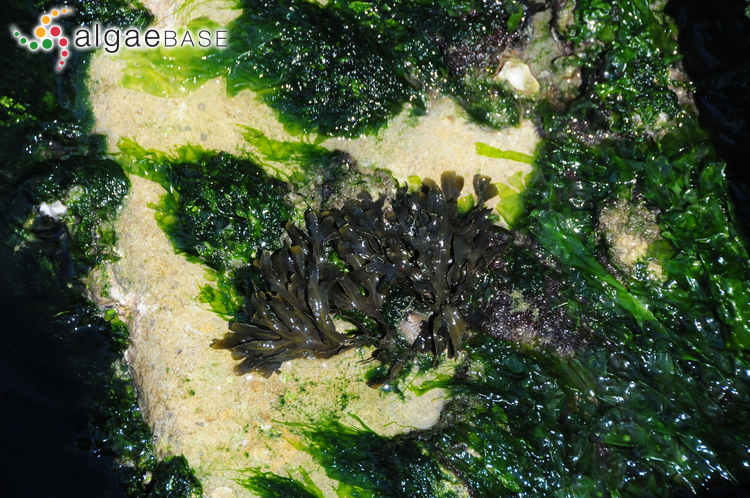 Adaptability of Fucus virsoides J.Ag. 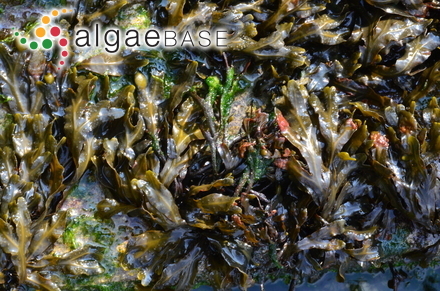 (Fucales, Chromophycophyta) to habitat variations in the Gulf of Trieste, North Adriatic Sea. Oebalia 21: 51-59. Munda, I.M. & Veber, M. (1996). Simultaneous effects of trace metals and excess nutrients on the Adriatic seaweed Fucus virsoides (Don.) J. Ag. 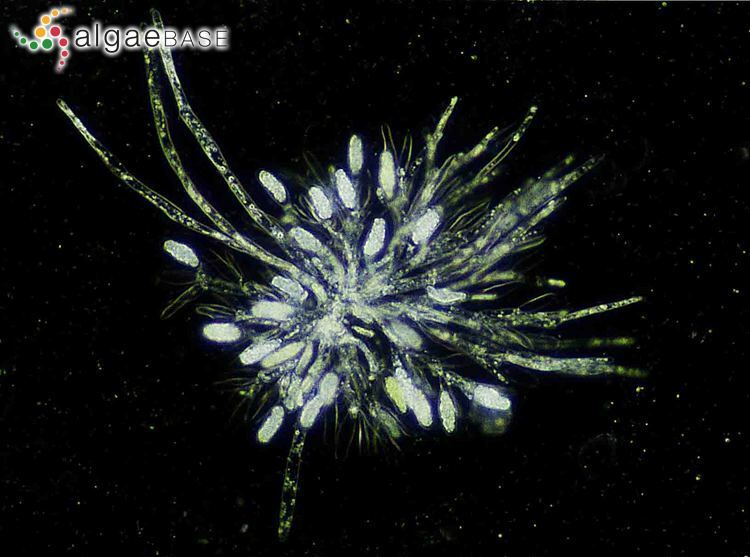 (Phaeophyceae, Fucales). Botanica Marina 39: 297-309. Munda, I.M. (1972). Seasonal and ecologically conditioned variations in the Fucus virsoides association from the Istrian coast (northern Adriatic). Dissertationes SAZU, Ljubljana 15: 1-33. Orlando-Bonaca, M., Mannoni, P.-A., Poloniato, D. & Falace, A. (2013). Assessment of Fucus virsoides distribution in the Gulf of Trieste (Adriatic Sea) and its relation to environmental variables. Botanica Marina 56(5/6): 451-459. Zavodnik, D. (1967). 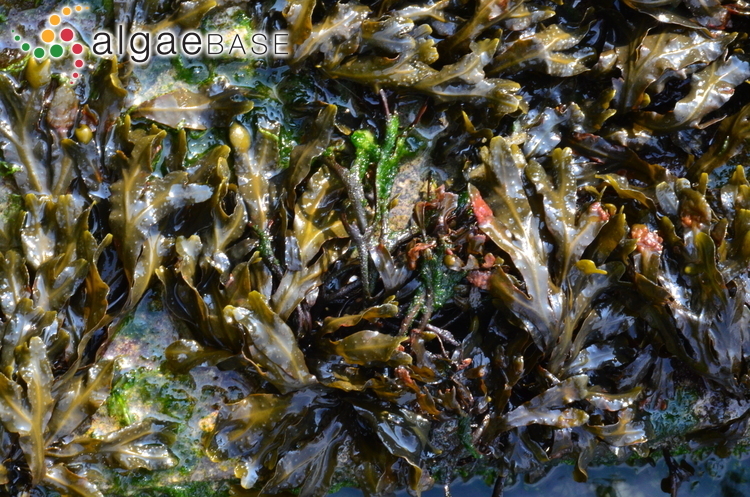 The community of Fucus virsoides (Don.) J. Ag. on a rocky shore near Rovinj (northern Adriatic). Thalassia Jugosl. 3: 105-113. Zavodnik, N. (1973). Seasonal variations in rate of photosynthetic activity and chemical composition of the littoral seaweeds common to north Adriatic. 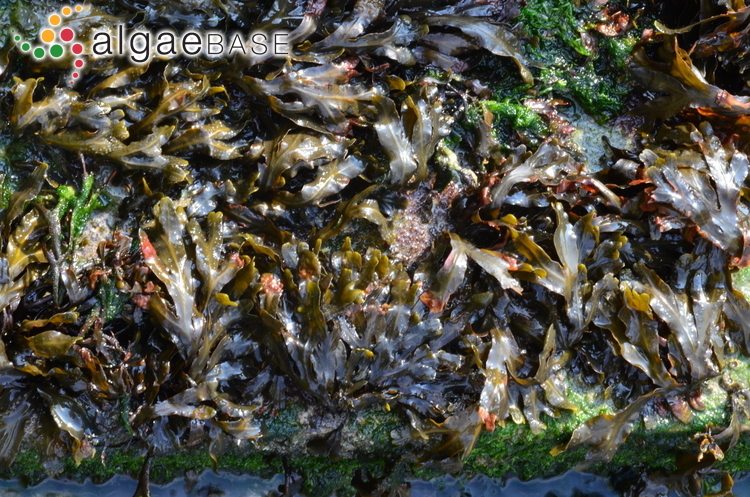 Part I. Fucus virsoides (Don) J. Ag.. Botanica Marina 16: 155-165.